The cheap way to travel in London — and steer clear of traffic — is on the Tube, a.k.a. the London Underground rail network. While nearly every city has a public transportation system, London’s Tube is rich in history unlike any other! Be sure to book a Top Sights Tour if you’re interested in unlocking the secrets of the worlds oldest underground! The world’s first underground railway, the London Underground was constructed as a response to the city’s rapid growth during the 19th Century. Today, it is the 11th-busiest subway system on the planet with 1.379 billion passengers using it from 2016-2017. Its tunnels stretch for 249 miles throughout London, often overlapping and giving passengers plenty of options for getting from one place to another. The history of the Underground, its tunnels, and the people connected to it, is truly fascinating. By partaking in a Top Sights Tour, you’ll submerge yourself in the history and lore and discover more than you knew about the Tube. The Industrial Revolution of the late 18th and early 19th saw a shift in Britain’s population from the farms of the countryside to the factories of the cities. Being the capital, London saw one of the largest influxes of new citizens, with the population of Great London tripling from 1,011,157 to 3,094,391 between 1801 and 1861. The increase in population also led to an increase in the amount of road traffic as residents of Outer London traveled to Inner London for work and back home each day. At the same time, the nation’s seven major railways met in London bringing in, even more, people and upwards of 200,000 people were crossing into the City of London each day. Beyond transport, and in more recent history, the Underground found another use during the early 1940s when it became a key part of the city’s war efforts. While people had taken shelter in the Underground’s tunnels during the first bombing raids of World War I, there was an increased use of the disused tunnels as air raid shelters from 1940 to 1945. Additionally, the government made use of the Underground tunnels to store national treasures and as administrative offices for themselves and for the military. Some Tube stations even became small factories churning out munitions and airplane parts for the war. In many ways, the Underground network became its own small city during World War II. Today, greater London is served by 11 Tube lines, along with the Docklands Light Railway(DLR) and an interconnected local train network. Underground trains generally run between 5am and midnight, Monday to Saturday, with reduced operating hours on Sunday. 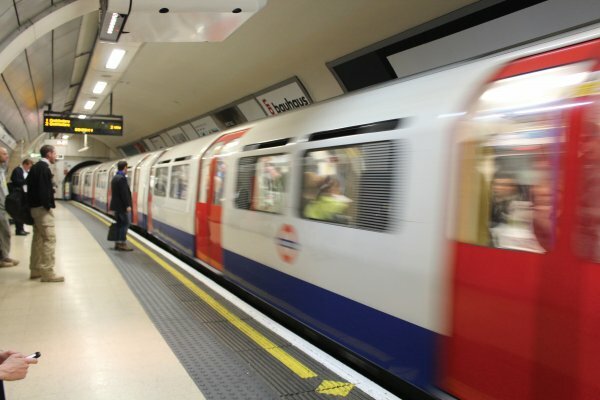 The first and one of the largest metro subway systems in the world, the London Underground continues to have a major role in the city. It is part of London’s history, and its changes continue to reflect the change in the metropolis itself. The next time you find yourself on one of the Underground’s trains, reflect on everything the system has been through over 150+ years and how you travel the same path as millions.